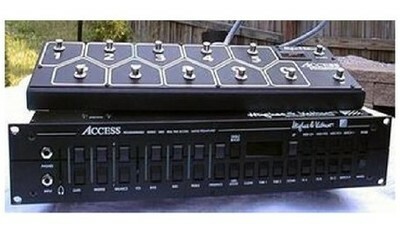 1995 Midi preamp with 3 effects loops, 3 states - two tube powered (2 X 12AX7 - overdrive channels) and one non-tube, clean state. The three effects loops accomodate every type of chain mono-mono, mono-send /stereo return, stereo send / stereo return (or any / all three simultaneously). Every parameter is controllable via midi patch and via realtime thru controllers (all supported). 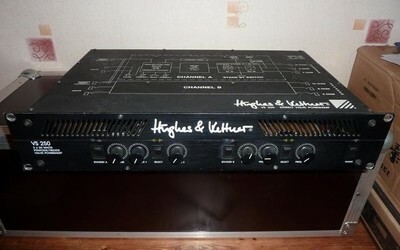 1995 - The VS-250 is a unique power amp, it's 2 50 watt channels, driven by 4 EL84s each. Each channel has 2 presence modes and each channel can run in Pentode or Triode mode. Triode mode drops the power to 25w per channel. Pour rock, métal ou son clair.